How Green Vein Sumatra Kratom Can Change Your Life. Are you tired of relying on conventional pain-relieving medication or brewing several pots of coffee to get the much-needed energy boost and juice to grind the day away? Study for that test that is stressing you? Finishing that project that’s giving your migraines?. If the answer to these questions is a yes then sit back and let me tell you about an alternative natural remedy that will guarantee amazing results. 4.3 I have increased mental function. The Sumatra Kratom originates in the Sumatra Island in Indonesia and has been used by the local community for many years. The Sumatra Kratom is divided into red, white and green based on the color of the leaves. The green vein Sumatra is one fine strain of Kratom which is soothing, relaxing and energetic. Most strains that are energetic cannot be relaxing as well. 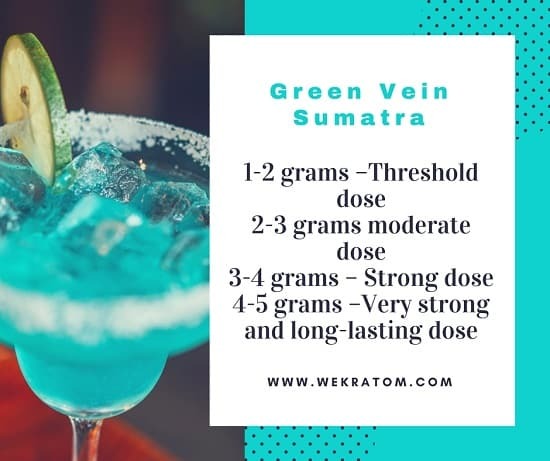 Therefore, the green vein Sumatra Kratom is a unique strain. The green vein Sumatra Kratom delivers its effects in moderation. The balanced nature of this strain is because of the well-balanced alkaloids. It boosts your energy and mood but leaves you functional. This balanced strain is the perfect middle choice between the white Sumatra which is highly energizing and the red Sumatra which is a sharp pain reliever. It delivers the benefits of both worlds in moderation. Regarding pain relief, it relieves pain but leaves you awake and active even when used in large quantities. All strains of Kratom contain alkaloids like Mitragynine, 7 OH Mitragynine, paynanthine, speciogynine, rhynchophylline (found on the leaves, and it is not only an alkaloid but also a calcium- channel blocker with the capabilities of reducing NMDA-induced currents), mitraciliatine, mitraphylline, 9-Hydroxycorynantheidine, epicatechin, and many others. The difference between various strains is the concentration of these alkaloids. The green vein Sumatra contains a diverse variety of these alkaloids, and this quality makes it more soothing, energizing, relaxing compared to other strains. The amount of Mitragynine present in a Kratom tree depends on the trees’ location, the strain and also the age. Kratom trees that grow in Southern Asia tend to have more Mitragynine because of the specific climatic conditions present in the region. Many people use coffee as an energy booster, and in most cases, it works although its effects fade away after some time. The green vein Kratom is an excellent stimulant. It gives you a burst of energy for a longer time compared to caffeine. Most of the population on earth experience pain from time to time. It could be a nerve-wracking muscle or joint aches, headaches or even those throbbing migraines that your go-painkillers won’t alleviate. It can help you manage pain. 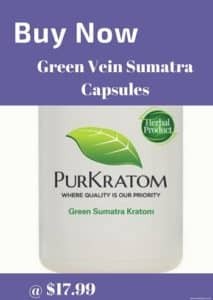 The red vein Sumatra Kratom is more powerful but induces sedation so many people prefer the more balanced strain that is the green vein Sumatra Kratom. The green strain blocks the pain signals from reaching the sensory organ. With this strain, you will not feel dizzy. I have increased mental function. The green vein Sumatra Kratom enhances cognitive capabilities when taken in small quantities. The naturally occurring alkaloids, mitragynine, and 7-hydro mitragynine form the final products of the human body metabolism. These alkaloids stimulate the body’s cognitive performance by communicating with the opioid receptors. It also prevents memory loss and improves concentration span hence enhancing performance and productivity. Consumption of higher doses triggers sedation thus inhibiting the cognitive function. Depression is a severe mental illness affecting a large percentage of the population. The green vein Sumatra Kratom is very helpful to people suffering from depression. The alkaloids-particularly mitragynine found in the leaves attaches itself to the opioid receptors in the brain. The mitragynine is responsible for feelings of euphoria and increased energy levels after consumption. It is essential to purchase the premium green vein Kratom because it contains powdered leaves and not the stem which does not contain mitragynine. This strain can be used to make you more social and interactive. When used in moderation, this strand will keep you alert, focused and even create a stimulating environment. If you are a shy person looking to make friends or unlock your confidence, the green vein Sumatra Kratom will help you. The Sumatra Kratom will have varying effects on different people depending on factors like dosage, other medications, desired outcome, general tolerance, or even body mass. Be careful about how much you consume. Start with a lower dosage (2-4 grams) then work your way up gradually from there. When taken in moderate doses the effects will last for about 3-4 hours. Consumption of higher dosage will induce sedation hence, and this will not deliver the results you were seeking unless you were using it as a sleeping pill. The following is an average dosage guideline. Note that this guideline is not 100% reliable. 2-4 grams- threshold dose. Suitable for beginners. The effects are mild. 4-6 grams- commonly used dose. The results are moderate. 6-8 grams- it is a strong dose for most people. 8-10 grams- a powerful dose with long-lasting effects like sedation. The average lasting potential for most strains is between 3-4 hours. However, these can change depending on the type of strain. Stronger strains like the red vein leave Kratom lasts much longer. When it comes to the green vein Sumatra, its effects differ from other strains. It is rare for this strain to portray extremely long lasting effects. The intensity manifests itself gradually as time goes. You will start experiencing the effects within 15-30 minutes of use. The effects are also not extreme in that they are more stable, constant and natural. This strain is a balanced strain whose effects do not lie on the extreme sides of the spectrum. 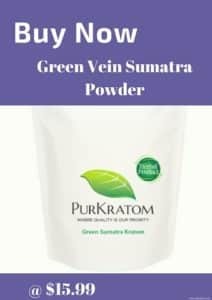 If you are looking for a more naturally benefiting strain, then the green vein is your go-to strain of the Sumatra Kratom. Mixing different strains to get a particular blend is becoming popular in today’s world. There are many reasons why people do this, but the main ones are to achieve a specific effect while the other is to enhance results in a wide range. It makes the strain more user specific. You can experiment with the same strands with different vein colors or even different strains altogether. New users should create a combination of different vein leaves of the same strain. Before you make a blend make sure you conduct thorough research on different strains of Kratom and also the effect you are looking for should be a top priority. When it comes to the Sumatra strain, by mixing the strains, you will enjoy the pain relief benefits the red vein offers, energy boost from the white vein while feeling relaxed, euphoric and confident due to the green vein. How Green Thai Kratom Works and Why Are People Buying It? I’m looking for the best green vein, what do you recommend I try? I really like the super green Maeng da. Also green may Kadian is good. I just tried Green Borneo and really enjoy it to. Just got some green Sumatra and can’t wait to try it. I haven’t had a bad experience with any so far but green maeng da seems to be the strongest and last the longest. I ordered 250 grams, what dosage should I start with? It’s best to start with a lower dose and go up from there. Start with 2 tsp and if necessary, raise it to three. You don’t want to start too high, as eventually, you will no longer get the desired effect of sedation and euphoria. Also, every couple of days, take a break and try something else so that you don’t get too used to the product. What is the difference between the red and green vein Sumatra Kratoms? Reds strains are great for relaxing and are the most sedating, the green strains are a great mix of energy and sedation, for those days when you need a bit of a pick me up, but also need help with your anxiety. There is also a white strain that is straight euphoria, but it can cause a bit of anxiety or nervousness. You can also try blending some strains in order to get the right mix for your needs. I love my green Sumatra kratom, it gives me an awesome pick me up each day, but also allows me to relax and get through my day with just enough energy that I don’t experience any jitteriness or anxiety. I find my green strains have a really great effect on me. I get a bit of euphoria and pain management, but without the anxiety and jumpiness that I might get with a white strain. I’m all about the green now. I use my green kratom to treat my headaches, it works every time giving me great relief. Up until now, nothing has helped with my regular headaches, so I am incredibly glad I have found this product, and that it works so well.